What makes a frog an amphibian but a snake a reptile? Both classes may lay eggs, but they have different skin coverings and breathe in different ways. Pages of fun facts will help kids identify each animal in the class like a pro after reading the fourth book in Arbordale’s Compare and Contrast series. Similar to Polar Bears and Penguins, Clouds and Trees; Amphibians and Reptiles uses stunning photographs and simple non-fiction text to get kids thinking about the similarities and differences between these two animal classes. With authentic illustrations, Amphibians and Reptiles showcases both types of creatures in up-close form. Snakes, turtles, crocodiles, and more are showcased. This book explains the differences and similarities between amphibians and reptiles in a way that children can understand. I even learned a couple new facts about them myself! The "For Creative Minds" section in the back of the book is further engaging with vertebrate classification, amphibian and reptile sorting, amphibian life cycle sequencing, and herpetology definition. 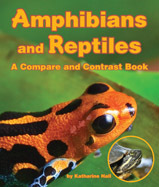 Amphibians and Reptiles: A Compare and Contrast Book is a Fall 2015 release from Arbordale Publishing. One person will win Amphibians and Reptiles: A Compare and Contrast Book. My grandsons find snakes fascinating! My favorite is the lizard! I have always love frogs. I even have a frog tattoo . I love gecko lizards, tiny and cute! I think salamanders are pretty neat! I like lizards, provided they stay away from me! 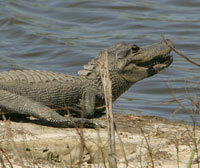 There are plenty of them where I live and it's pretty fun coming across one in the yard - they like to do pushups! But it was not fun at all when I put on my shoes one morning, and found a small lizard in it! Chameleons are too cool, their eyes and the way they walk and some change colors! My favorite reptile is the Gecko Lizard! My favorite is the Gecko Lizard.